I was super excited to see that the beautiful Victorian house that used to hold East Side Wines was going to be turned into a restaurant. 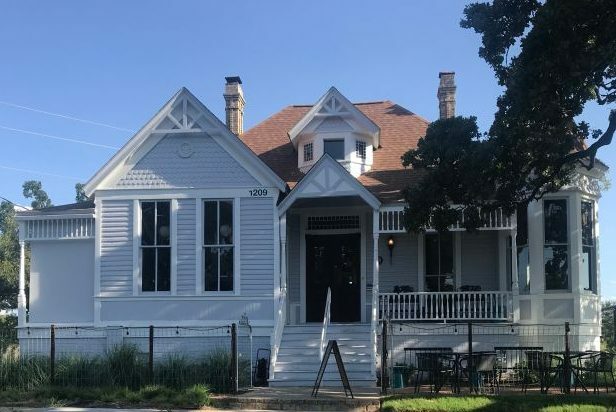 The house was built in 1890 and it sits atop a hill, with the downtown Austin skyline as its backdrop. 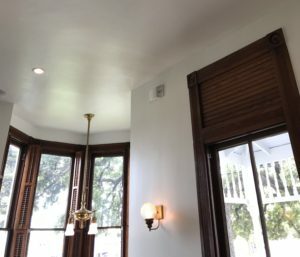 They did an amazing job of keeping the charm of the old house, while making it fresh and up to date. 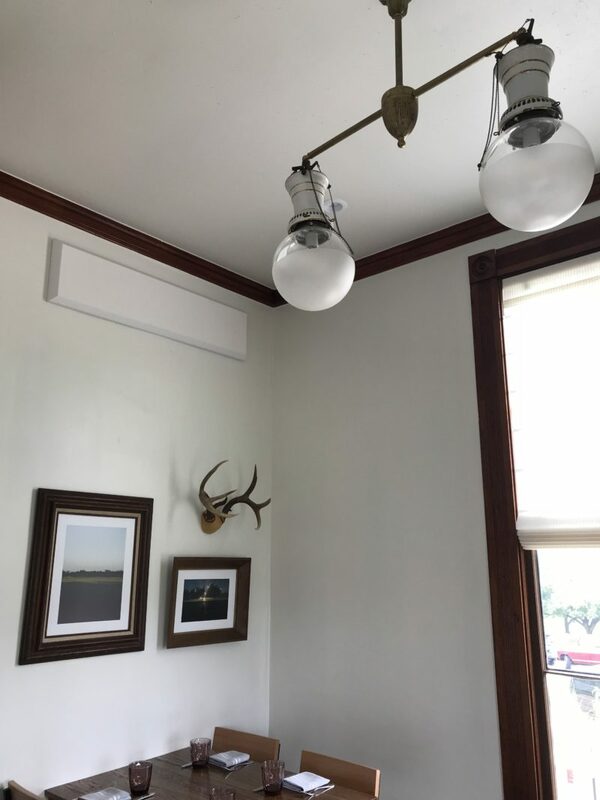 I learned a long time ago, when I was still a wee interior design assistant in college, that designing a space that is eclectic, yet cohesive is the trick to dynamic interiors. They have definitely achieved that here by successfully combining different eras of design. 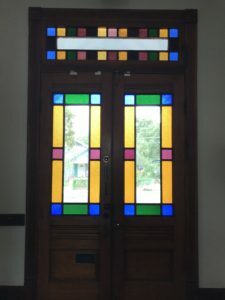 You enter through large double doors with stained glass panels and there are immediately so many elements that catch your eye. 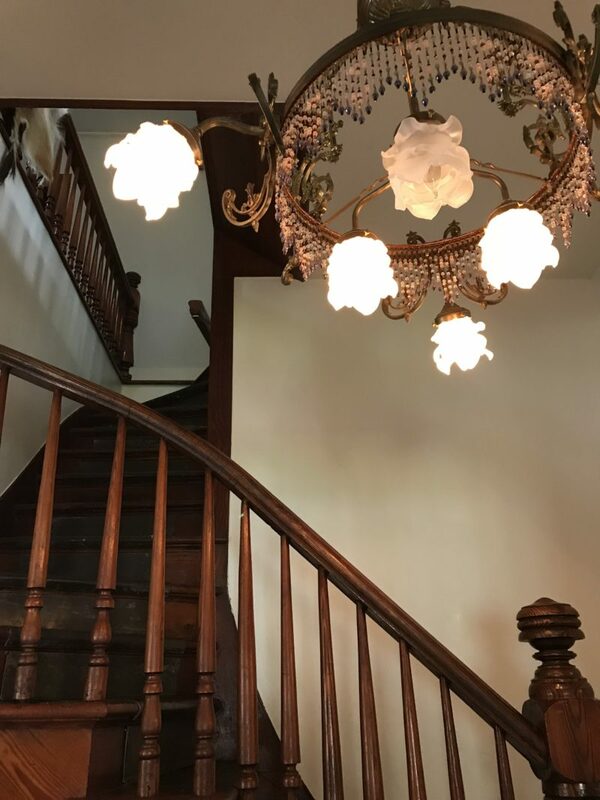 A black and white checkered floor leads you to an amazing staircase just beyond the hostess stand, lit by an intricate Victorian chandelier with floral lights. 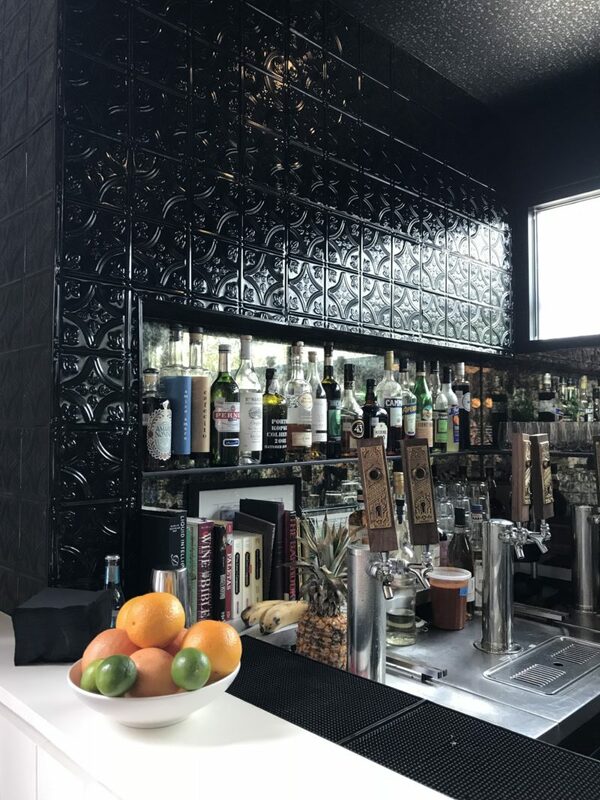 Black embossed tile surrounds the bar area, and big mid-century globe lights hang above the bar. Also in the bar area, there is a brick fireplace with deer skulls mounted above. 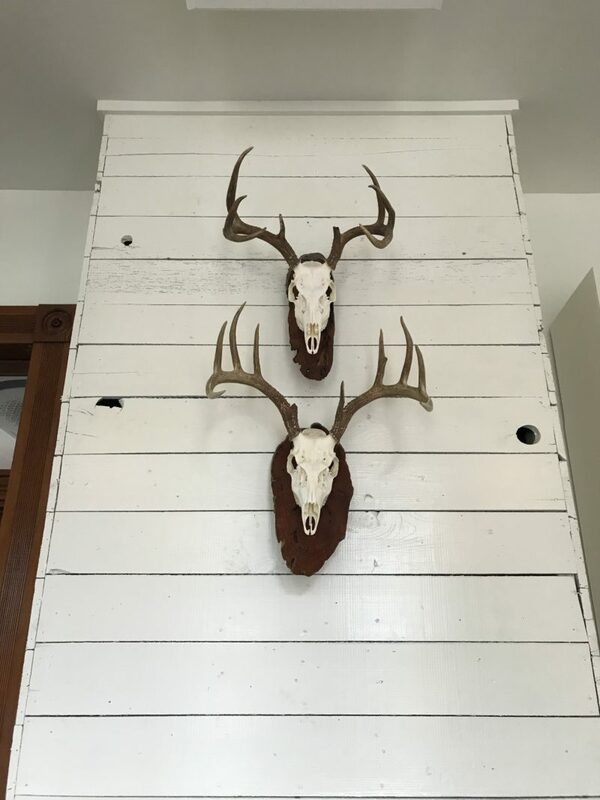 This is Texas y’all, and they have placed deer skulls about the house, and mixed them effortlessly with other design elements. 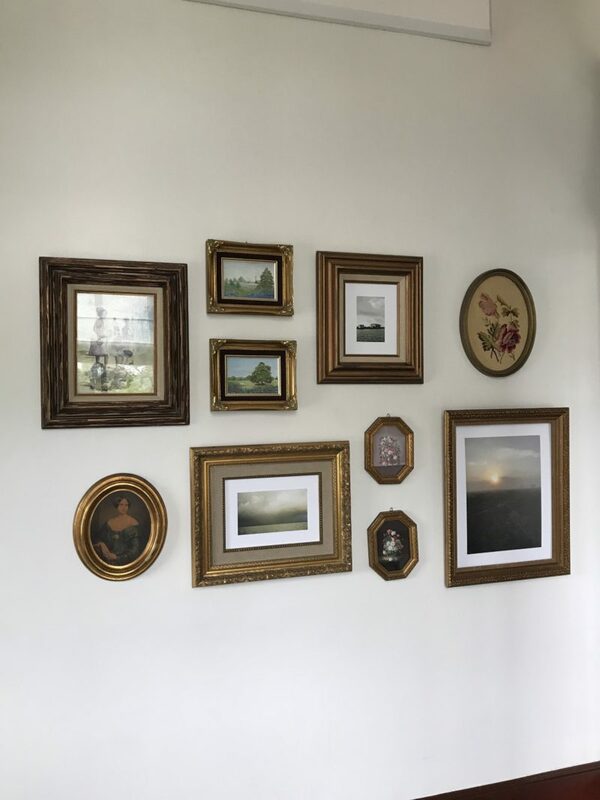 In the back room, they complement a gallery wall of landscapes framed in gold. 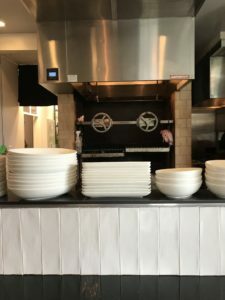 There is an open kitchen concept, and they have a really cool oven with wheels that control the grill. I won’t pretend to know anything about how that works, but it looks really cool! Of course, the bathrooms are gorgeous. I love the trend of really outlandish bathrooms these days, and these are definitely on trend. 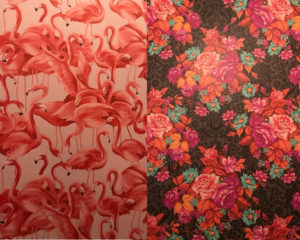 One is a dramatic brown/pink/orange floral, the other flamingos. How cute is that? I can’t forget to mention Jeb, the GM. 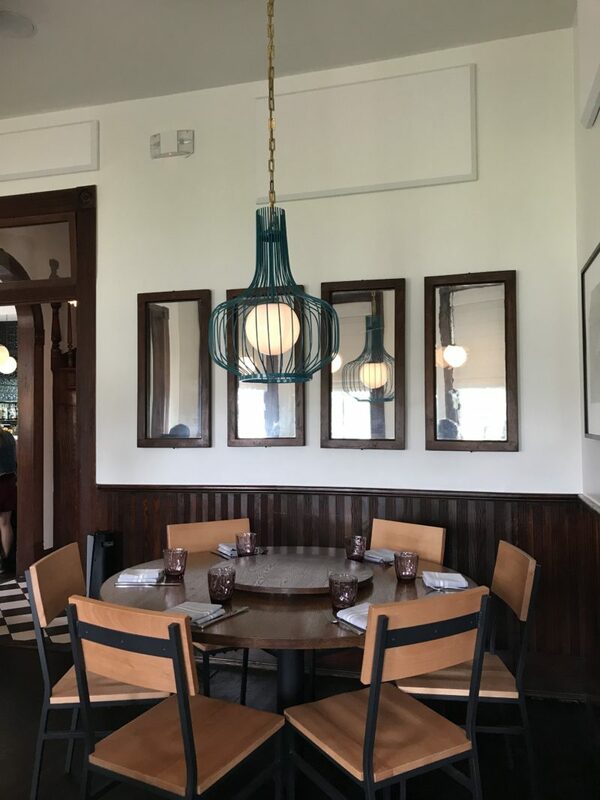 He was really cool about talking to me about some of the design elements, pointing out that the light in the front window was the one remaining piece of original lighting, and checking on us throughout our meal. 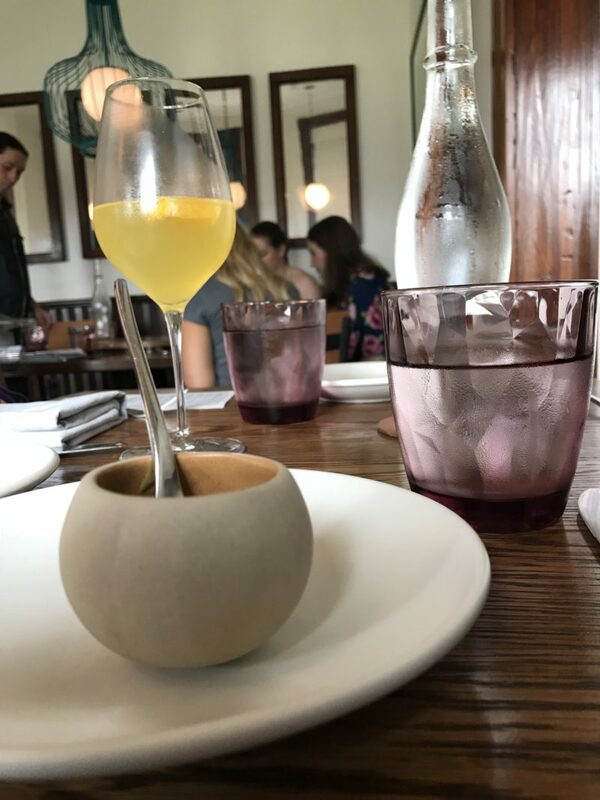 The food was all fantastic, as was the service. My only disappointment is that I don’t live closer to this place.